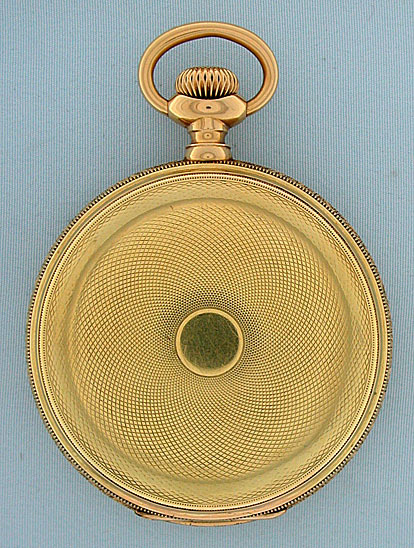 Fine and unusual Patek Philippe 18K green gold 20 jewel Adjusted Extra antique hunting case pocket watch circa 1890. 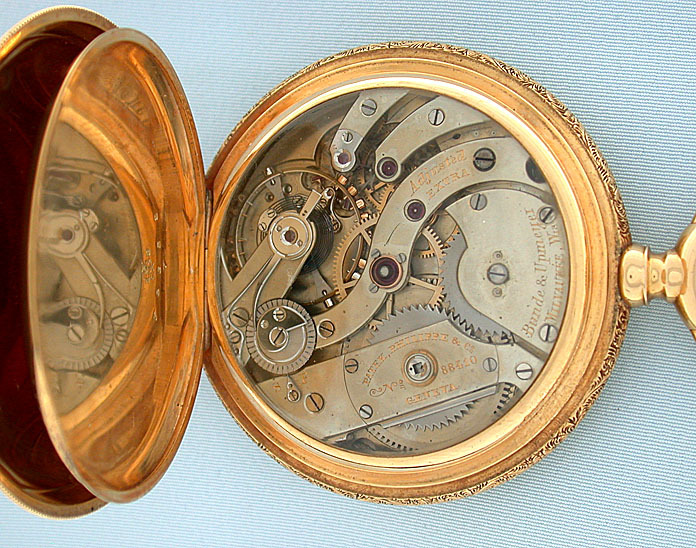 Heavy original engine turned JS case (light edge wear) in 18K green gold, which is very scarce. 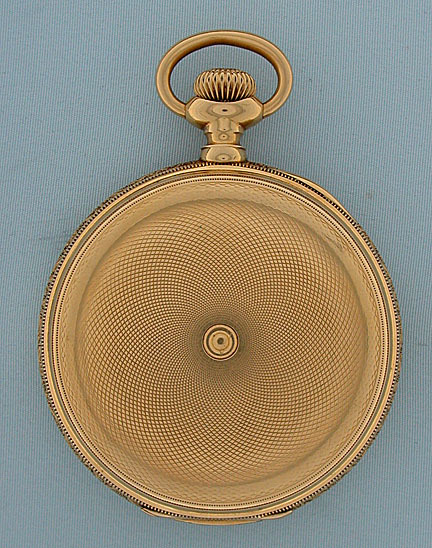 With both gold and glazed dust covers over the movement. White enamel dial with red and black numbers and fancy gold hands. 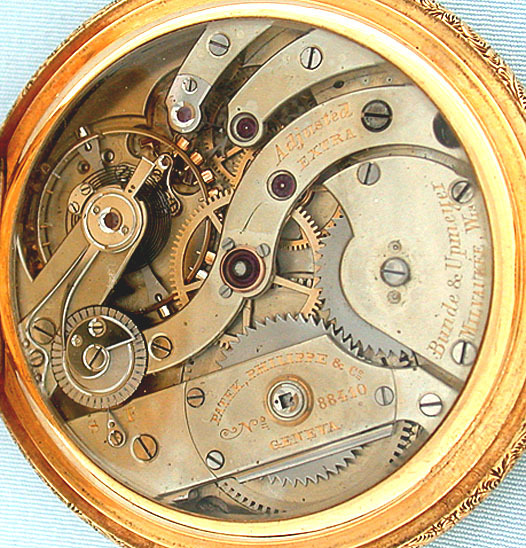 Highest quality nickel 20 jewel movement with wolf's tooth winding and precision regulator, marked "Adjusted Extra." 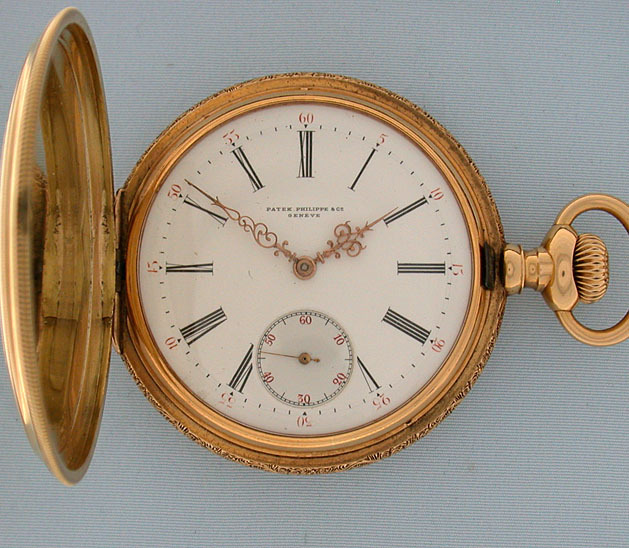 For a number of years the United States imposed a stiff tariff on watch cases, and many manufacturers exported movements only which were cased in the US. 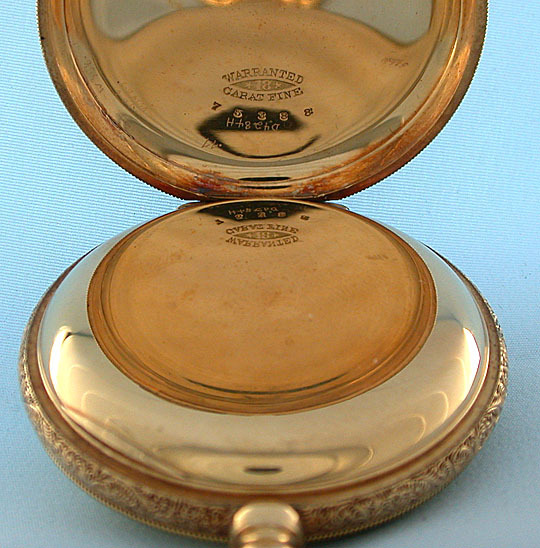 "JS" made cases of the highest quality for many of the best watch manufacturers.